Cervinis Fiberglass Shaker Hood 08-up Dodge Challenger Fiberglass Shaker Style Hood 08-up Dodge Challenger, Cervini's 8040 Hood, Dodge Challenger Shaker Hood, Challenger Shaker Hood, Dodge Challenger Fiberglass Shaker Hood, Challenger Fiberglass Shaker Hood, Dodge Challenger Hood, Dodge Challenger Fiberglass [Cervinis 8040 Challenger Hood] - $1,499.95 : 3rd Strike Performance, Your Source for Late Model MOPAR Performance Parts and Accessories! 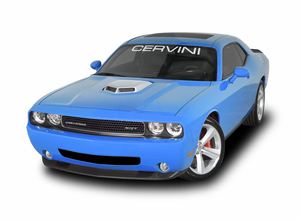 Our Cervini’s shaker hood comes with everything you need for an easy and painless installation. This set features an engine-mounted shaker scoop with billet aluminum inserts. This 2008-up Dodge Challenger R/T and SRT8 product comes equipped with a functional cold ram air kit and a nine-inch Cervini high-flow conical air filter. This air system and hood will provide up to 15 additional horsepower to your Challenger. 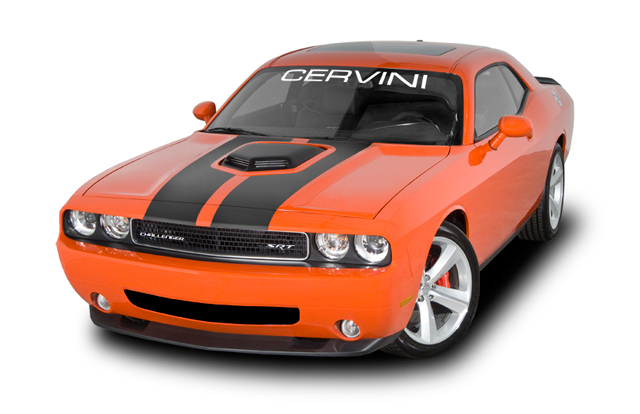 Find a huge selection of 100% American-made products available at Cervini’s. Our selection is growing to accommodate the latest models. As with all Cervini's hoods the hood arrives ready to install with no cutting, drilling or trimming required. The shaker style hood also features a fully finished underside, which is a must for any serious show car. Hand crafted right here at our New Jersey head quarters using only the best fiberglass and urethane materials.